The worst part about living in the desert, in my opinion, are the number of creepy creatures. Snakes, lizards, scorpions, spiders. And boy, do we have the mother of all spiders! 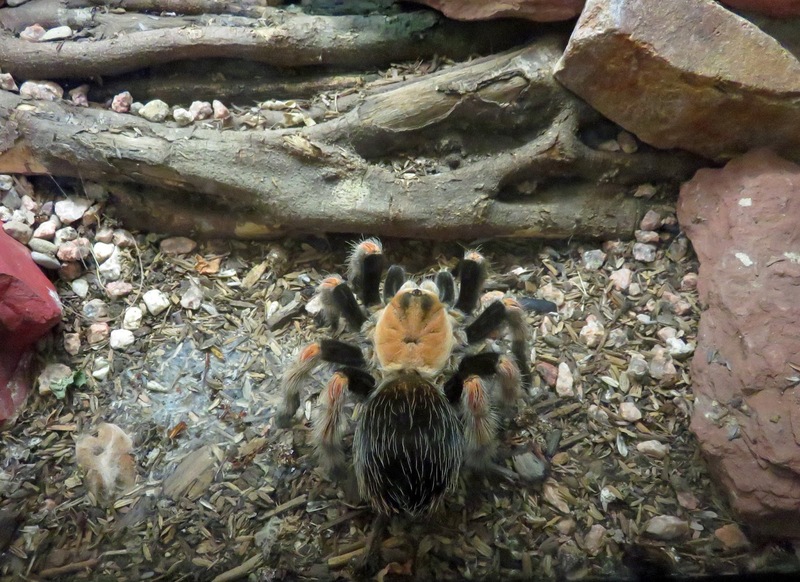 The Arizona Blond Tarantula has got to be the scariest spider I've ever seen. The first time I came across one of these buggers was at a resort hotel here in Tucson. I was walking to my room, down one of the hallways (all the buildings have exterior hallways) and he was right there, in the middle of my path. I stopped dead in my tracks. I didn't know what to do. He was the size of a baseball. I couldn't get to my room. I had to walk back to the lobby to tell the staff there was a spider near my room. They sent someone out to remove him. Ed has seen one here on our property, and my brother has had them on his property, too. They really stop you dead in your tracks. 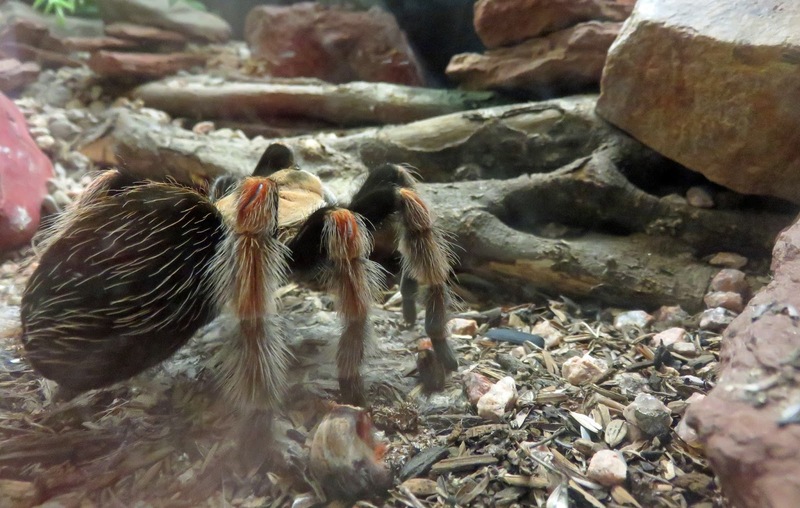 If you've never seen one it's really startling to come across a spider so big. The one in these photos are male. The males are thinner (of course!) with black hair covering most of the body and reddish hairs on the abdomen. The female is light brown or tan. They are both approximately 3 to 4 inches across in size. They also live a pretty damn long time, if not beaten to death with a shovel. Males live 10 to 12 years and females can live twice as long. Man, we even outlive men in the arachnid world!